Follow some steps I mentioned below.Your problem will surely be resolved. Some days before this problem happened with me so i google it . And you will not believe that i found a very simple answer which worked for me and surely will work for you too.Today i will show you How to Turn on Your Wifi or Turn Off Airplane Mode in Windows 10, Windows 8, Windows 7 and any other windows version even the Latest Windows. 1. First of all You should restart your laptop which is a great method of getting rid of small and basic problems.Resetting your laptop can be helpful to you before searching for anything on the internet but if you have already tried restarting your laptop then no need of restarting again just move on to next method. 2. This is the simple method which you usually try but step 4 is most important.In this,Simply click the wifi icon in right bottom corner of your windows and Click either on aerplane mode or Wi-fi box to Turn Off Airplane Mode or To Turn On Wi-Fi Respectively. 3. 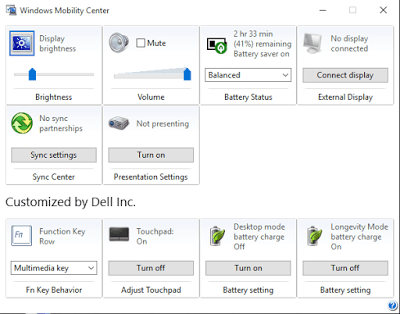 This method may help if you are using windows 7 because in windows 10 there is no option for wifi and for beginners who don't know about Windows Mobility Centre.Open Windows Mobility Centre by Pressing (Ctrl + Alt + M) These Three Keys at the same time and then Turn Off Airplane Mode or Turn On Wi-fi from Here.If you are unable to open Mobility Centre by these keys then simply Go to Search panel in your windows or Click F9 to open search.It is also called cortana search in windows 10 and above versions.Write Windows Mobility Centre in Search box and Hit Enter and you will get a result of Mobility Centre.Open it from there.If you still unable to find it then Go To Control Panel and and you will find it in last row. 4. This Method is applicable if other methods are not working For you.Just press Fn+PrtScr button on the keyboard at the same time or simply click PrtScr Button which is the virtual Wi-Fi button on your Laptop or PC and you will Get your Life back (i mean you will get your wifi on). Fn is located in Left Bottom Corner of the keyboard and PrtScr is present on Upper Right Hand in Mid Section of Keyboard (i mean just above + or = button).This is really simple and funny also because it worked for me and the amazing thing is that i knew about this key but i did not even think about it.I was thinking that i have got a major problem with my laptop and it may be possible that my laptop is now faulty but i was wrong with my faulty idea.I google it and Got this simple trick so thought to share it with you people and help you in this regard. 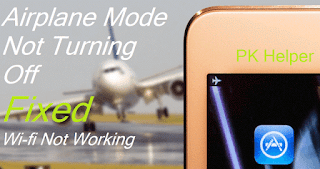 So This was really a simple method of Turning off Airplane Mode or Turning on Wi-fi in your Brand New or a little old laptop and hope it may have worked and helped you.If you experience any other problem,related to this or not,please mention below in Comments.We will Feel Pleased to Assist You.